William Eggleston (born 1939) describes his selection of subjects as “democratic.” He trains his lens on banal things, such as the red ceiling in the guest room of a friend’s house. The thousands of photographs Eggleston has shot over the years form an eccentric, aggregate portrait of Memphis, Tennessee, and the Mississippi Delta. Working primarily with dye-transfer prints, a technique of printing color photographs that yields pure and intense color and now utilizing the new pigment print digital technology Eggleston records this world, not in muted shades of black and white, but in raw, sometimes garish hues. In 1976, Eggleston was the subject of the first exhibition of color photography at the Museum of Modern Art, New York. The exhibition gave a new artistic legitimacy to color photography, which until then had been deemed suitable only for advertising and commercial work. 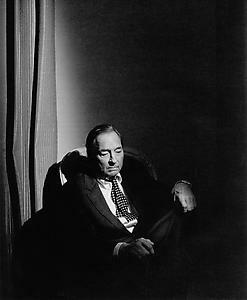 Eggleston has exhibited widely including solo shows at the San Francisco Museum of Modern Art; the Fondation Cartier, Paris; the Hasselblad Center, Göteborg, Sweden; the Louisiana Museum, Copenhagen; and the Corcoran Gallery, Washington, DC. His work was recently the subject of a major retrospective organized by the Whitney Museum of American Art. His work is represented in many American and international collections including the Art Institute of Chicago; the National Gallery, Washington, D.C. ; the Museum of Modern Art, New York; the Whitney Museum of American Art, New York; the J. Paul Getty Museum, Santa Monica; the Bibliotheque Nationale, Paris; and the Victoria and Albert Museum, London. Eggleston’s work has been published in numerous monographs including William Eggleston’s Guide (Museum of Modern Art,1976), The Democratic Forest (Secker & Warburg1989), Ancient and Modern (Random House1992), 2 ¼ (Twin Palms 1999), Los Alamos (Scalo 2003) and 5x7 (Twin Palms 2006), Chromes (Steidl, 2011) and Los Alamos Revisited (Steidl, 2012). Eggleston is represented by Cheim & Read, New York.